Are carrot tops edible? YES yes yes they are, and they actually add even more carroty goodness to any dish. Tonight I made a chickpea stew for dinner served on brown rice. I realized I had no parsley left, and I wasn't at all excited about having to use basil instead, even though I picked up the most beautiful basil in Kensington. I had also just bought a bunch of locally grown carrots complete with leafy green tops, and I started to wonder why cut the tops off and throw them out. I eat all my other root veggie top - beets are some of my favorites, so why not carrots too. It didn't seem very sustainable to keep throwing them away, so I check out what other foodies do with their beautiful carrot tops. One website said that some people are allergic to the tops, and they are mildly toxic, but the more I searched the more I found that that was a bunch of bull. Some people use the tops in soups or salads some even used the tops as a replacement for parsley... BINGO Chickpea stew with brown rice and carrot tops - served! So I stumbled upon FWSC (Florida Winter Strawberry contest) and I must admit I'm really tempted to enter. Seconds into reading the contest rules, I'm having visions of strawberries fanned out like little pieces of carpaccio, maybe sitting on top of a perfectly toasted piece of baguette and a slab of sweaty drunken goat cheese. For those of you who don't know about cheese this semi - soft Spanish goats cheese it's completely note worthy! A pasteurized cheese thats been soaked in red wine - need I say more. I'm up late making lists of flavors and textures and possibilities for starters & salsas, salads sweets and best photo ideas. 31 days doesn't give me a lot of time, but perhaps I can enter at least in one of the categories. Any suggestions? Stop making excuses! Taste T.O. Taste T.O. is a great website dedicated to knowing what's cooking in the city. They have an awesome list of local farmers markets, which I hope to review for my own Tomato Snob seal of approval. There is also a wonderful links page with all sorts of great insider Foodie information. Definitely check it out. name, price, or location. Brilliant! SUMAC (pronounced /ˈʃuːmæk/ or /ˈs(j)uːmæk/; also spelled sumach) is a Middle Eastern and Mediterranean spice dark red or burgundy in colour. It comes from the berries of a wild bush commonly found in subtropical climates. This is one underrated delicious spice it not only adds brightness in flavor but also possesses medicinal qualities. Sumac is known to relieve upset stomach and reduce fever. It's usually used eaten ground-you can find it on top of a hummus platter or rubbed into meaty kebabs, although if this is your only use for it for you definitely have some more learning to do. Winterlicious RSVP ASAP January 29th - February 11, 2010. Aside from the nearing winter Olympics there is another exciting part about the cold weather - yes its time... Foodies and non foodies alike can join forces and enjoy the finest restaurants in Toronto without the all the "after the holidays" shopping and eating guilt. It's the end of January and most of us have settled back into our routine, we're back on the wagon eating well and hitting up a regular workout. Now it's time for a treat. Winterlicious will be here serving up three course prix fixes for $20.00-45.00. Some restaurants offer lunch, and others do both a lunch and dinner cover. This is a great opportunity to get out and try somewhere new, perhaps even somewhere noteworthy. I encourage people to let us all know about their experiences. There is also a number of restaurants who have their own winterlicious inspired menus including The Monkey Bar and Grill, Safari and Katsura at the Prince Hotel. Make your reservations now, and let us know where to go!!! Oh helllls yes! This place is amazing. One of the oldest farmers markets in the city, it's opened all year long - every Thursday from three until seven. Um hellooo for those of you who live close by or have nothing to do on a random Thursday this place is a city gem. 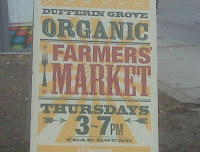 An amazing sub culture of hip granola in a good way Tomato Snobs oohing and ahhhing about our local organic delights. Bring your own grocery bags, and tupperware (yes i'm serious) cause you're going to wish you had, and have CASH! Some of the vendors do accept VISA, but do yourself a favor. Another plus you can also park for FREE across the street at the Dufferin Mall. Not too bad. Some people would say its expensive, but for me its worth it. The quality is amazing, the taste, the texture... everything. 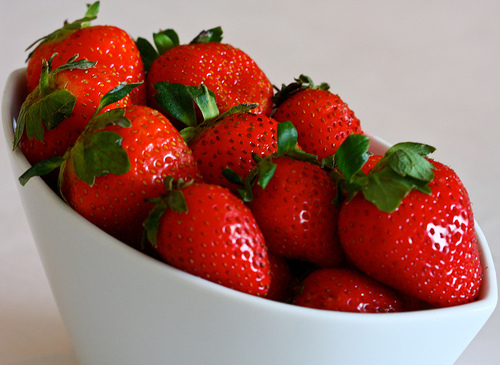 When you stop eating pesticides, and mass produced food you feel the difference in your body. Premium fuel in your system its a good thing. It's a great feeling to support the local farmers, this is how we need to learn to eat! I've just sort of skimmed the surface on this issue, but I will discuss it a lot on this blog. I really strongly believe that our consumption habits need to change, in a drastic way. People all over the world have developed a lazy attitude towards food. There has been too much emphasis on fast food, cheap food and more food for your money. There are lethal quantities of "fillers" preservatives and chemical alterations to perfectly natural things. These practices are going to seriously effect our environment unless we start taking action. This isn't going to turn into a lecture, there's plenty of time for that. I would love to hear what other people have to say about this issue, but for now I want you all to go out and check out the Dufferin Grove market - its bonkers! Oh ya go with an appetite lots of samples and home made little treats (for cheap) - YUM! Like Thanksgiving in my mouth - Turkey Tuesday? Another Bretta Farms post, well sort of. I know some of you aren't crazy about ground bird, but these Turkey Burgers will change your mind. A whole new meaning to the word bird! They aren't actually raised at Bretta, but from Wheatland Select in Alberta. This Canadian farm specialize in Turkey which makes it even better. Turkey will reaffirm it's place as chickens more delicious cousin. The turkey burgers were stunning, I can't even express how truly delicious these things are. They come in a package of 4 frozen, no preservatives or antibiotics. A world of difference from store bought Turkey. I decided they would be best served with a warm red chard and onion salad. I sprinkled the burgers with rosemary and some paprika, bit of s&p - they don't come seasoned, and I always like a kick, chili flakes would have been a great addition. TIP: cook in cast iron grill pan! 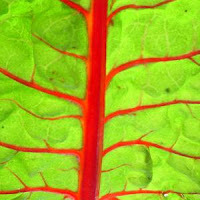 PREP: Wash and pat dry the chard, chop stems into thin slices, and leave the leaves in big strips. Finely chop garlic - or grate into hot oil with onion. Thinly slice onion into strips. COOK: heat 2tbs olive oil add onions and garlic, cook at medium until golden. Grate a bit of nutmeg over the mixture - you should be able to smell the aroma - don't add too much the flavor can be overwhelming. Begin adding the stems of the chard, constantly moving it so everything cooks, continue to add until just the leaves are left. Add the leaves as well, add a splash of the cider vinegar and stock or water - you don't want any of the chard to stick or burn to the pan. Cook until everything is tender - 5 mins. or less. Caldo Verde a long standing tradition in Portugal. Its their unofficial nation dish, and I've decided to re-create it for dinner. My version isn't authentic at all more inspired by, but delicious none the less. Prep: Keep all ingredients separately until cooking. Halve onions, and cabbage and thinly slice. Separate the stems of the collard from the leaves. Chop the stems into little round bites, and roll up the leaves and thinly slice them horizontally to create ribbons. Chop carrots, and sweet potato onto small pieces - the same size at the stems of the chard, also cut sausage into bite size pieces. Roughly chop the garlic and the parsley. For the Kamut boil in water until tender (30-45 mins) and strain. Add to the soup at the end. Cooking: I roasted my potatoes with olive oil s&p and some paprika in the oven on 350 for a few minutes before adding them to the soup - I really like the flavor they get this way. In a large pot heat 1tbs of olive oil add the carrots, and after 2 mins add the onion and garlic. After 1 min add the sausage. When they all start to brown add the collard stems, bay leaf more paprika and pepper. Now add your water/stalk and bring to a boil. Now add your sweet potato, cabbage and shredder collard leaves and continue to boil - once it starts bubbling lower the heat, and let it cook for 20-30 mins. When ready taste for s&p and spices, you can also add extra chili flakes if desired, but watch out for too much salt. Allow soup to sit for 1 hour. Once its cooled off remove bay leaves, then take 1/3 of the soup and blend it, or use an emerson blender for a second or two, that gives it a really hearty consistency - don't over blend you still want chunky pieces. Add the kamut and chopped parsley. Soup will keep for 2-3 days. Serve with crusty bread a drizzle of olive oil and black smoked sea salt. Tortilla Española is a dish I make all the time at home. My boyfriends family are Spanish and he just loves this authentic dish. Its easy to prepare, and always a crowd pleaser. Traditionally this dish only uses only onions, potatoes and eggs however I like to add a little green either parsley or chive depending on your taste they're both wonderful. Sunday Brunch: Tortilla Española & Spinach salad with cranberries, toasted almonds and a blackberry vinaigrette. Tortilla Española - INGREDIENTS: 6 - 8 eggs (eggs should justcover the potato and onion mixture). Pre heat your oven to 350 - 400 degrees. PREP:Halve the onions and the chop them into thin slices. Cut your potatoes into thin slices as well, or small bite size pieces. Coarsely chop parsley, and beat your eggs with a little s&p. them moving every few minutes so that they don't stick to the pan. When they have softened up a bit - 8 mins or so add the onions and continue to cook on a medium heat until the mixture takes on a golden colour and pieces of the potato start to fall apart. Then take the pan off the heat, add the mixture to the beaten eggs and toss the parsley in as well. Add a little more olive oil to the dirty pan andtransfer the the entire mixture back into the pan on a low-med heat. Let the bottom cook for a few minutes and shake the pan a bit to get everything moving. Then place pan in the oven (*make sure your pan is oven safe!) It only takes a few minutes for the omelette to puff up and cook through. If you find after 5-10 minutes that its still gooey inside turn up the heat to the oven, or even broil for a few minutes - keep our eye on it so it doesn't burn. When the top is firm and golden its done. Cut into triangles and serve. Thursday January the seventh, marked the arrival of my second box from Organics Delivered. Now that I knew what I was expecting (an array of organic produce from the four corners of the earth) I was no longer disappointed, but rather pleasantly surprised. The veggies were definitely fruitful, and the box did multiply. In other words I got my money's worth. The contents of the box was a bit more diverse. My Italian kiwis were delicious, even thought they had traveled much more then 100 miles to get here. There were still oranges and grapefruits, apples and pears, but this time I got bananas, as well as the kiwis. The veg was also better, no stinky cabbage, red swiss chard - which I love, cucumber, romaine, collard greens, and ontario grown beets, carrots and the damn yams!!! Horay I finally got my yams. All in all, Organics Delivered gets at least one thumb up. I would give it three green tomatoes, out of five. For lazy or busy people who want the luxury of organic goods delivered its not that bad after all, but if your really trying to make the conscious move and become a locovore all I have to say is wah wah wahhhhh.... the search continues. Bretta Farms, bring on the grass fed beef - and please keep it comin. Holy Cow - literally eating Bretta organic beef is a divine experience. enough to pick up the tab. Sweet, I guess I can do all the cooking to make up for it. a side order of mint potatoes, and some sauteed kale. 1 pound lean ground beef. In a clean large bowl put the onion and garlic mixture to cool off before you add the beef. Add the parsley to this mixture, you can also add a pinch more of your spices, depending on how strong you want the flavors to be. Once the mixture has cooled off, add your beef and with your hands start combining the ingredients together. You can form little burgers, or oval patties, you can let these sit in the fridge to marinate for a while, or cook them right away. Cook in a grill pan if its winter but I prefer the bbq over anything. Serve with Dijon Mustard and Hummus. Finely chop mint basil and garlic, add a few spoonfuls of olive oil s&p and let sit in a bowl. You can make the potatoes any way, I prefer to cut them up into bite size pieces and roast them in a bit of olive oil s&p until crisp, but if you are in a hurry you can always stab them with a fork a couple of times, and then nuke them in the microwave for a few minutes until tender. Let them sit for a few minutes before trying to cut them. If they still need a few more minutes to cook you can through them in a pan with a little olive oil and flash fry them. Once they are cooked drop them in the herb and oil mixture, toss and enjoy. You can also mash some of the pieces they allow the potatoes to take on more of the flavor. Ok back to Bretta... If you didn't already get it, I loved the products. The ground beef had a beautiful rich red colour, not like the grey crap you get at the grocery store. The sausages were delicious as well, i'm very pleased with this purchase. I can't wait to try the rest of the meat. Supposedly they sell Bretta at some grocery stores, I'll see if I can find out where, and let everyone know - Stay Tuned. amazing cheesy buns all warmed and aching for condiments. year of festivities. We laughed and played headbands for hours... I'm still in a food coma. Holy flew shot batman. I guess mom was right this time, should have gotten that damn flue shot. I was feeling like a flaming bag of poo when new years eve rolled around this year. I decided to have a party months before the big day, and was cranky as anything when it came time to get ready for the party. Usually if I was having people over for a 1940's themes old hollywood party I would prepare everything from scratch, however this year I really just didn't have the strength. So I bought. Yes i'm totally ashamed, but I just had to, and nobody seemed disappointed when the hot apps where coming all night long. serve with hot crusty bread brushed in olive oil. and a pinch of salt - whisk together - serve at room temp. Then around 11:00 I served perogies with sour cream and chives. 1:00 was time for the spinach pizzas and chicken fingers - also served with the sweet and sour sauce. I also had a few desserts a plate of chocolate chip cookies with fresh strawberries arranged around them, as well as chocolate macaroons with fresh raspberries. Sorry no photo's too busy hosting. All the drinks were all in the theme of things and we suggested the order in which the guests drank them. We totally lucked out because nobody got sick, we all just had a jolly good time. instead of the Grand Marnier. splash of lemon juice garnished with a maraschino cherry and a lemon. Happy New year everyone 2010 what a sweet number.